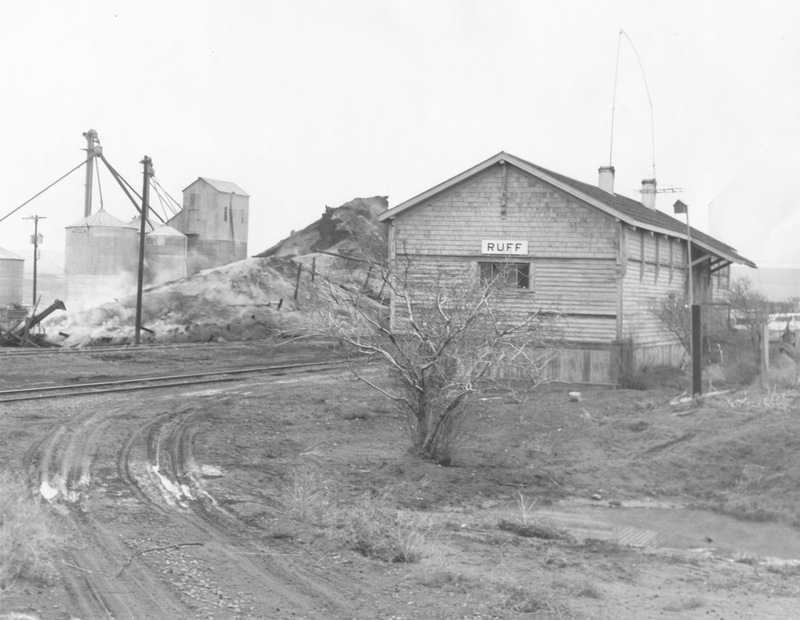 The Ruff depot has seen better days in this early 1970s photograph. It was closed as an agency in June 1933 and converted into a dwelling for the section foreman sometime later. This depot was built as a Type E (that is, without a freight room) but at some point a freight room was added to it, making it a Type F depot. They ruined the looks of the building by sawing off the roof overhang and removing the brackets. Anyone want to comment about what looks like the remnant of a wheat fire?